The Magic Castle for Your Events! Recently at the Magic Castle, I had the pleasure to see a group of about 20 business people from some company enjoying a show in the Parlour of Prestidigitation. They all wore a special button, sat together, and were clearly having a good time. Afterward, I reflected about how much fun the Castle would be for some of my clients and their corporate events and parties. I also had some ideas about how a business group could enhance their experience at the Castle. For example, imagine team building exercises like a group scavenger hunt? Or an observation & memory contest, ie. what's in each room? Art & exhibits? The names of the magicians and their signature effects? Or possibly a problem solving contest, how's it done? These informal games & quizzes can really add an extra element of fun. They can be used to motivate & inspire your people, especially if there are some big prizes to be won. The Magic Castle has many magician members who specialize in corporate magic entertainment, and they can be invited to entertain your employees & clients at outside events as well. 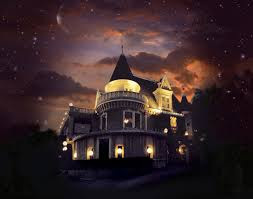 Check out the magiccastle.com and give them a call to discuss your next event. The Castle team are dedicated to helping you create a memorable & fun event for your guests unlike anything else.